Overall mail engagement has increased since 2012, and Millennials are at least as engaged with the mail as non-Millennials. Regardless of age, most consumers get their mail at the first opportunity and also sort it at the first opportunity (usually the same day), confirming the high value of mail. Although they receive less mail overall, Millennials spend more time sorting their mail and are more active consumers of mail. The role of bills in the mail remains important to all generations—although Millennials are more comfortable with digital-only options. 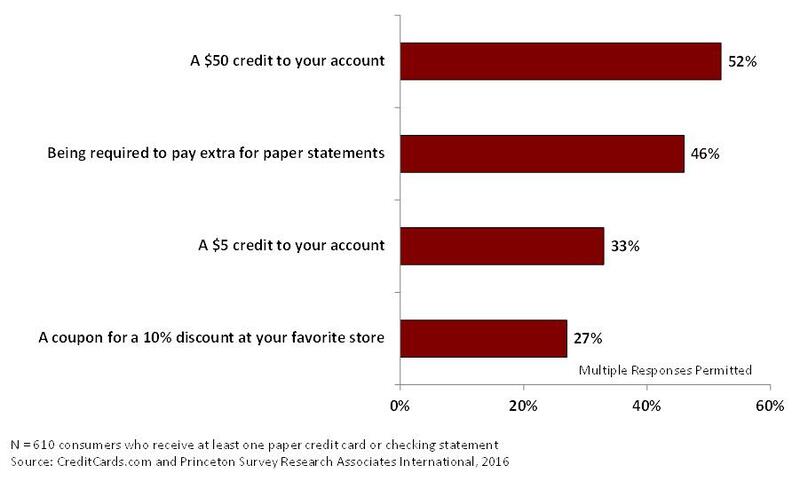 Nearly half of households consider pure online bill receipt and payment undesirable. As might be expected, however, this undesirability increases with age from just over a third of Millennials (34%) to over half of Boomers (54%). Even if there were an easy-to-use integrated billing portal, most consumers would still want some bills or statements sent via mail. 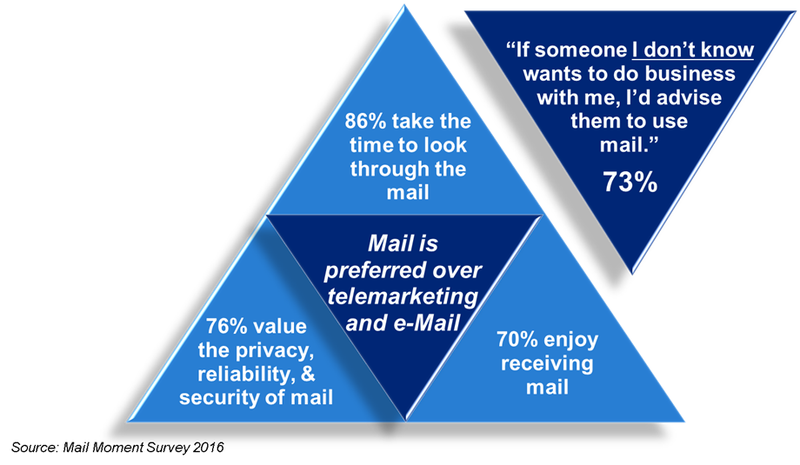 According to the survey, mail is preferred over telemarketing and e-mail communications and remains important to most households. Furthermore, many households would actually prefer to receive more mail instead of less. Respondents that felt this way reported that more mail can actually be productive for the sender—these individuals look forward to receiving mail, don’t see it as a chore, or would rather review physical mail instead of e-mail when seeking useful information. Sorters have a strong attachment to the mail. A sorter will categorize all of the mail that they receive and file important pieces for later use. Scanners have a lower attachment to the mail than Sorters. These individuals will occasionally discard pieces without reading them, but they still see value in the mail. Weak Habits have little attachment to the mail. 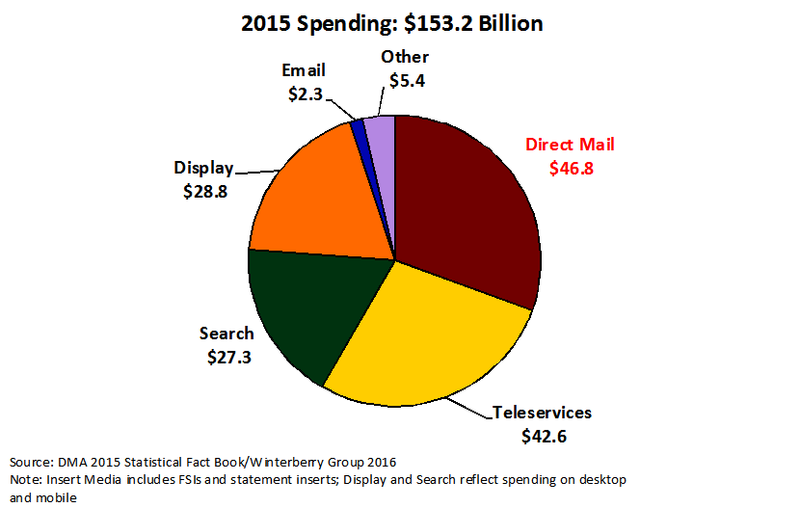 This subgroup lacks basic mail consumption habits and does not see value in organizing mail. Skimmers are active detractors and have no attachment at all to the mail. Skimmers will pay attention only to items of extreme importance. 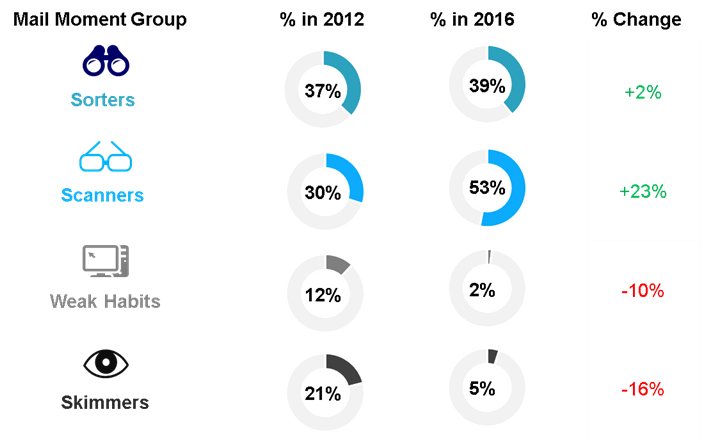 According to the findings from Mail Moments, the share of “Scanners” saw the greatest increase (23%) between 2012 and 2016, while the share of “Skimmers” saw the largest decline (16%). Within the Mail Moments report, you will find much more information about how the mail preferences and behaviors of these groups are changing over time. Contrary to popular belief, the report confirms that mail is still highly valued among consumers. Regardless of age, most consumers get their mail at the first opportunity and also sort it as soon as they can. Click here to learn more about Scanners, Skimmers, and others as well as how to better meet consumers’ direct mail needs in 2017! Source: Inno Media, 2012, Mail Moments Segments based off national survey of 1,078 heads of households. 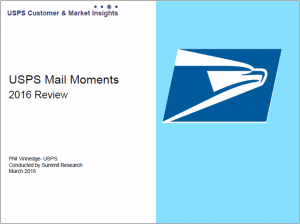 Click here for the USPS Mail Moments 2016 Review pdf. Earlier this year, we posted a blog on the reduced postage rate extended by the removal of the exigent surcharge of 2014. This surcharge was put into effect by the Postal Regulatory Commission (PRC) to help ease some of the financial hardships that were suffered in previous years by the United States Postal Service (USPS). Unfortunately for those who try to make the most of every penny, the time has come for new prices. The USPS has filed notice with the PRC of the price changes for Mailing Services products to take effect next year, following the end of the holiday mailing season. If approved, the new prices include a two-cent increase in the cost of a First-Class Mail Forever stamp, bringing the price back to 49 cents. This was the cost of a Forever stamp before the Postal Service was forced to reduce prices by the PRC as part of the exigent surcharge removal. The last price increase for stamps took place in January 2014, and the USPS claims that stamp prices have stayed consistent with the average annual rate of inflation since the Postal Service was formed in 1971. The only expected price change will be for First-Class mail (stamps and flats); there will be no change in prices for postcards, letters to international destinations, or additional ounces for letters. The proposal also includes a slight decrease in Metered First-Class Mail and an increase of 1.135% to Media Mail and Library Mail. Other proposed changes include a rebranding of “Standard Mail” to USPS Marketing Mail and price increases for special services like Certificate of Mailing, Collect on Delivery, Return Receipt, Registered Mail, and Signature Confirmation. The Table below shows how First-Class Mail costs will be adjusted in the new year. These changes are expected to take effect on January 22, 2017. Understand the mailing products that are affected by this increase. Pricing for Standard Mail, Periodicals, Package Services, and Extra Services will also be adjusted in 2017. Please visit www.prc.gov for more information. Pick the right list and clean it up. Invest the time to target the right audience, use quality data that has been properly “scrubbed,” and format your mail to comply with the latest postal regulations to reduce postage cost and waste. To read more about lists, read Winning Direct Mail Campaigns Start With the List. Follow the USPS Postal Explorer for confirmed rates and other January 2017 pricing files at http://pe.usps.com. You can also visit USPS Service Alerts to subscribe to near-real-time announcements regarding disruptions or suspensions to domestic and/or international mail due to weather emergencies, natural disasters, and other events. Marketers realize that a “one size fits all” strategy won’t cut it anymore. They want to rise above the noise and create differentiated, customized communications that will help them stand out from their competitors. 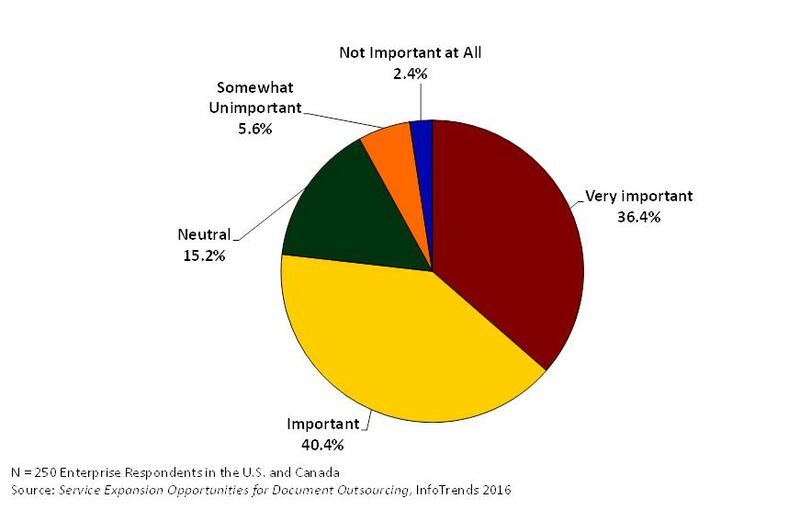 During its 2016 study on Document Outsourcing Services Expansion, market research firm, InfoTrends surveyed 250 North American Enterprises to better understand executives’ plans for breaking through the clutter. Over three-quarters of those surveyed stated that personalization was at the heart of building better customer communications. Figure 1: How important is the delivery of more personalized print communications to your current strategic planning process? 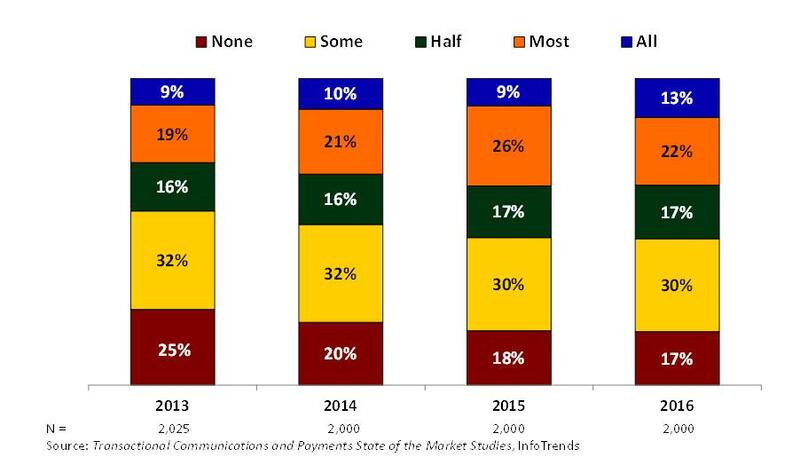 At the end of 2015, InfoTrends conducted a study entitled Micro to Mega: Trends in Business Communications. 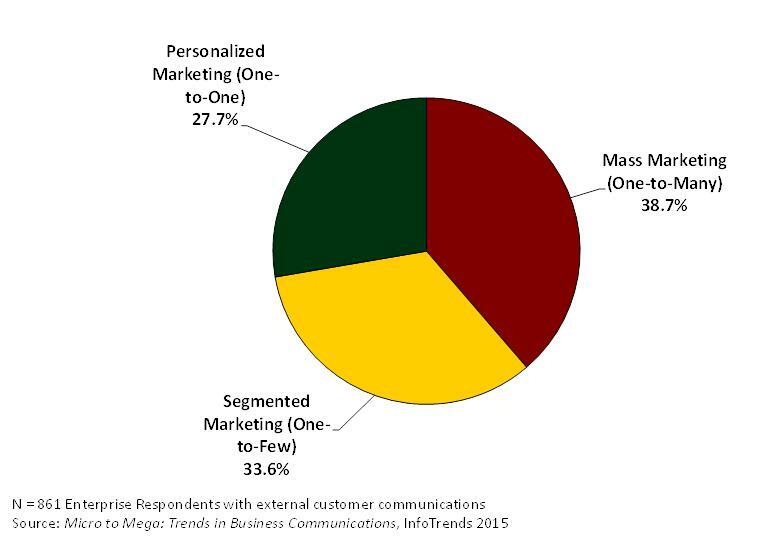 On average, enterprises were using three channels to communicate with their customers. When asked about the level of personalization, however, only about 28% of communications were personalized at the individual level (one-to-one). Figure 2: What percentage of your external customer communications or marketing/advertising campaigns fit into the following categories? In today’s market, segmented or mass communications are inadequate for meeting consumers’ expectations. Consumers are seeking offers that are relevant, appropriate, based on real-time actions, easy to respond to, timely, and consistent with communications across other channels. Further, in 2015, InfoTrends surveyed 900 U.S. consumers in a study entitled Direct Marketing Production Printing & Value-Added Services: A Strategy for Growth. The responses from this research made it clear that personalization makes a difference in consumers’ willingness to engage with marketing communications. 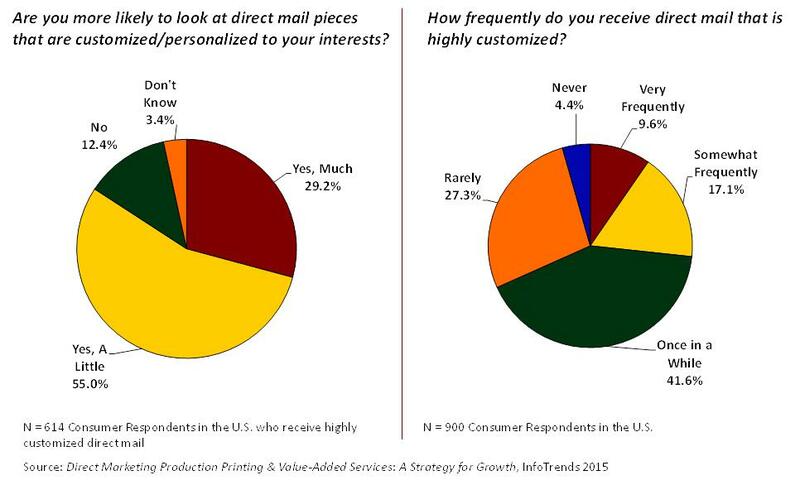 Unfortunately, there is a gap in frequency—although 84% of respondents indicated that they were more likely to look at a piece of direct mail that was personalized, only 27% felt that they were frequently receiving highly customized direct mail. Figure 3: There’s a Gap in Frequency! 61% of U.S. consumers feel more positive about a brand when marketing messages are personalized. 44% of consumers are less responsive to non-personalized or “mass-marketing” messages. 53% are more likely to purchase when a brand personalizes digital communications. 52% trust brands that enable consumers to share their marketing preferences more than brands that do not. This personalization gap between marketers and consumers represents an important business opportunity for service providers. Marketers clearly acknowledge that they are falling short when it comes to delivering better, more relevant, and timely offers. They need to figure out how to use available data to drive business results. 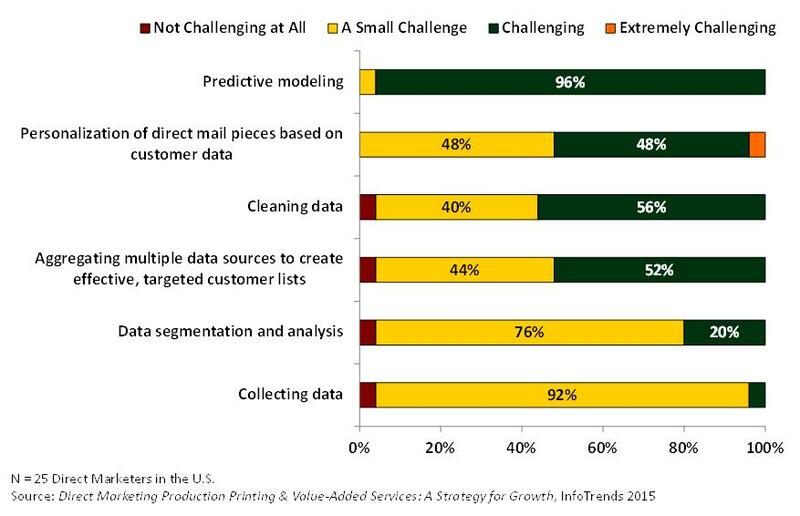 When asked about their key direct mail challenges, direct marketers cited data analytics (specifically predictive modeling, where the communication is focused on the next most likely purchase). These respondents were also challenged with building personalized campaigns from existing data, cleansing their data, and aggregating data from multiple channels. Figure 4: How much of a challenge do each of the following represent for your direct mail efforts? As we move closer to 2017, service providers will face yet another business evolution. 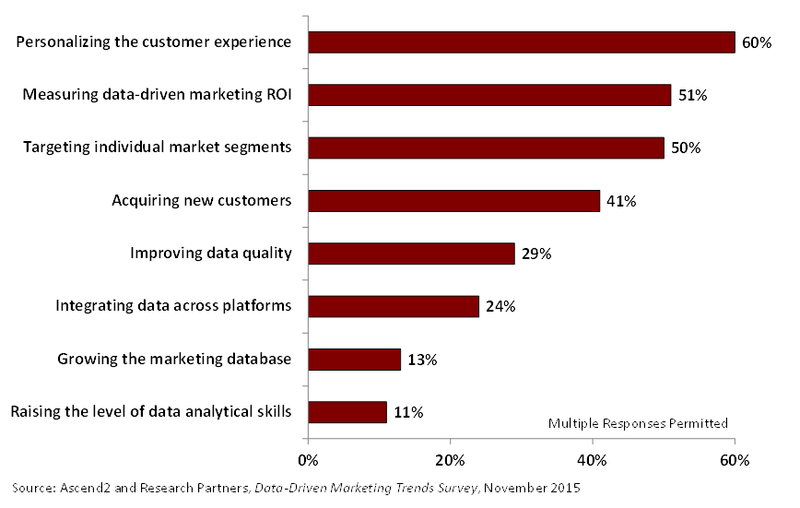 The most profitable service providers will be able to properly define their role in bridging the personalization gap. You must work with clients to understand what data they have, what data they can obtain, or to organize their data, and most importantly how to activate their data to propel their businesses into the future. Direct mail is one of the most powerful ways to communicate with current customers, especially when it comes to new customer acquisition and reactivating dormant accounts. One of the most significant portions of the overall expense of any direct mail program is the mailing costs, specifically postage. Paying attention to the USPS promotional calendar can result in significant savings without reducing the effectiveness of the direct mailing. 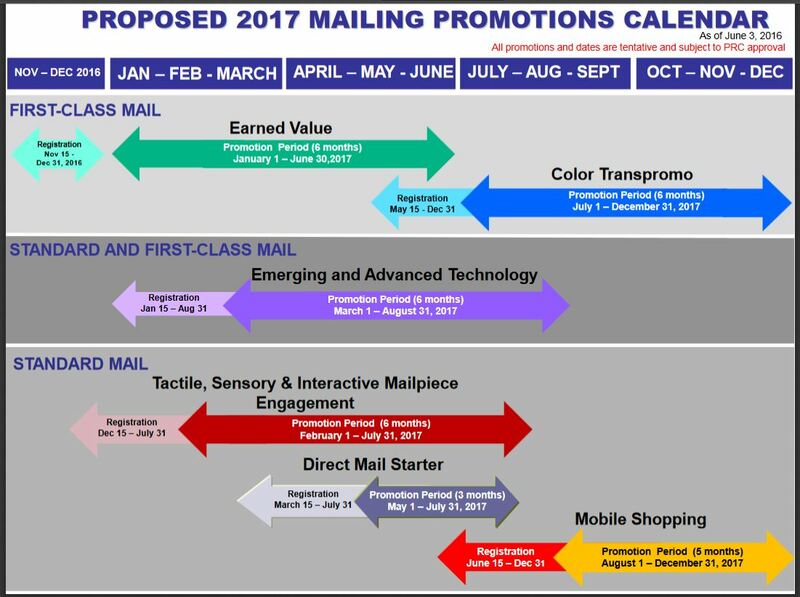 The USPS’s recently announced 2017 Postal Promotions plans will surely help deliver more impact for less cost. According to the Federal Register, the USPS plans to continue offering five promotions from 2016 with some updates and will also add one more. These promotions take effect on January 1, 2017, so you have plenty of time to prepare your strategy. This promotion offers a $0.05 per piece rebate on all Business Reply Mail, Courtesy Reply Mail, and Alternate Postage pieces that meet program requirements and are placed in the mailstream by the recipient and scanned during the program period. To receive the rebate, registered customers must have distributed a Business Reply Mail, Courtesy Reply Mail envelope, or Alternate Postage card or envelope, and must comply with all other eligibility requirements of the program. Direct mailers that enhance customer engagement via the use of advanced print innovations in paper stocks, substrates, inks, and finishing techniques will be eligible for promotional discounts. Regular and non-profit Standard Mail letters and flats that meet the promotion requirements will be eligible for an upfront 2% postage discount during the promotion period. The optional fifth toner station in some of today’s digital production printing presses enables print providers to add spot, flood, or multiple coating layers to printed output to create unique textural effects while also highlighting variable information. White, gold, and silver inks are available to make direct mail pieces pop. Other offline digital enhancement technologies can also give printed communications a unique tactile feel. As mobile and print technologies continue to evolve, the USPS believes that mail has the potential to offer greater value by engaging customers across various media. This promotion is designed to encourage direct mailers to explore mail opportunities that incorporate near-field communication (NFC) tags, “enhanced” augmented reality, video in print (ViP), beacon technology, and other developments. This strategy provides substantial advantages for the integration of these innovations in mail pieces now and in the future. Direct mailers that leverage these emerging technologies will receive an upfront 2% discount. The Personalized Color TransPromo Promotion is intended to encourage producers of bills and statements to send statements that create a greater connection and response from consumers by using personalized color transpromotional messaging. Bills and account statements with four-color process messages receive a 2% postage discount for First Class mail automation letters sent as part of a full-service Intelligent Mail™ barcodes (IMb) mailing during the established program period. The color messaging must be on the bill or statement and must be used for marketing or consumer information purposes. This promotion is designed to drive online product purchases by putting mobile-optimized promotional offers, coupons, and catalogs into consumers’ hands. The U.S. Postal Service’s Mobile Shopping Promotion will offer a 2% discount on Standard Mail letters and flats that include, inside or on the mail piece, a mobile barcode or other qualifying technology inside or on the mail piece that facilitates a mobile-optimized shopping experience. This new promotion is targeted toward non-profits and commercial organizations that may not be using direct mail at this time. Specifically, small and medium-sized businesses (SMBs) can receive a 5% discount on eligible mail pieces, up to 10,000 pieces per mailer. The postal service offered this promotion in response to feedback from mail service providers that the cost and complexity of participating in postal service promotions is too high for many smaller, less sophisticated business mailers. In an effort to retain the volumes of current small business mailers and attract new mailers, the postal service is introducing a temporary postage discount on mail pieces that contain print-mobile technology (such as a QR code), that when scanned, leads the recipient to a mobile-optimized website. The mail piece must also contain directional copy instructing the recipient on how to scan the barcode and a printed uniform resource locator (i.e., URL address). Rather than focusing on saving a few pennies on production and squeezing your margins, work to create direct mail that is colorful, personalized, and interactive or leverages emerging technologies. Oversized envelopes with QR codes, NFC tags, and augmented reality can enable direct mail pieces that truly stand out. Focus on the real savings associated with optimizing the latest postal savings and promotions and you’ll deliver direct mail that gets noticed!